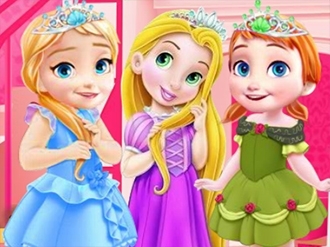 Start off this lovely day by helping the little girls in a fun princess room cleaning game where you will have lots of tasks and everything will lead up to you decorating the whole room at the end. Chloe is getting ready to take her sweet baby in the park to enjoy the fresh air and the company of other cute kids. Before they can go out, you need to help Chloe feed her baby, sing to him and play together. Next step is to choose a nice outfit for the beautiful mommy and some chic accessories. 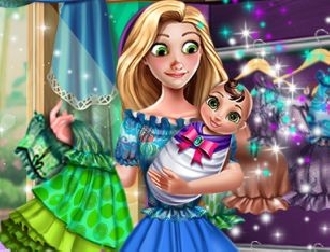 Have fun with Chloe and her cute baby! Snow White and Aurora, the most beautiful princesses, have two great pets. 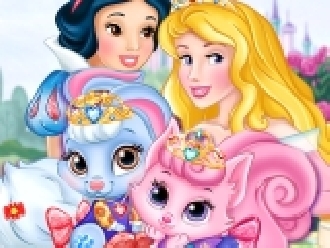 Beauty, the kitten, belong to princess Aurora and Berry, the rabbit, is Snow White's treasured pet. They decided to have a nice play date together and it would be great if you could help the princesses prep the cute pets. Start the game called Palace Pets Playdate and the first to be prepped is Beauty.